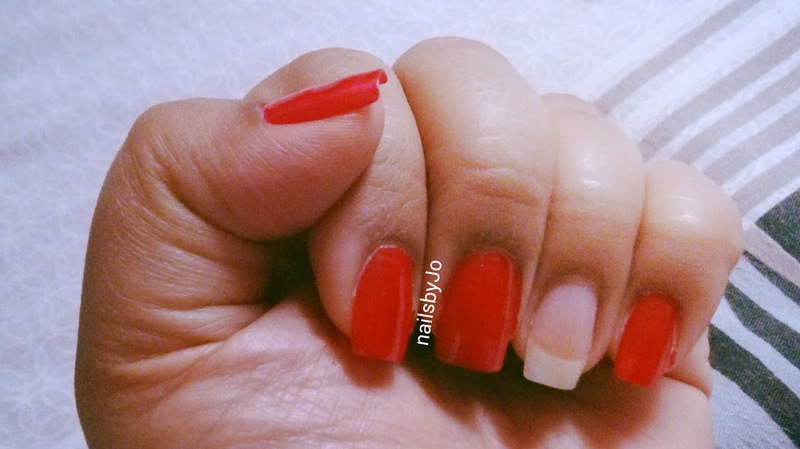 Step 1: Put on a base coat in red. Paint the ring finger last as you need it wet to get the beads to stick on to it. 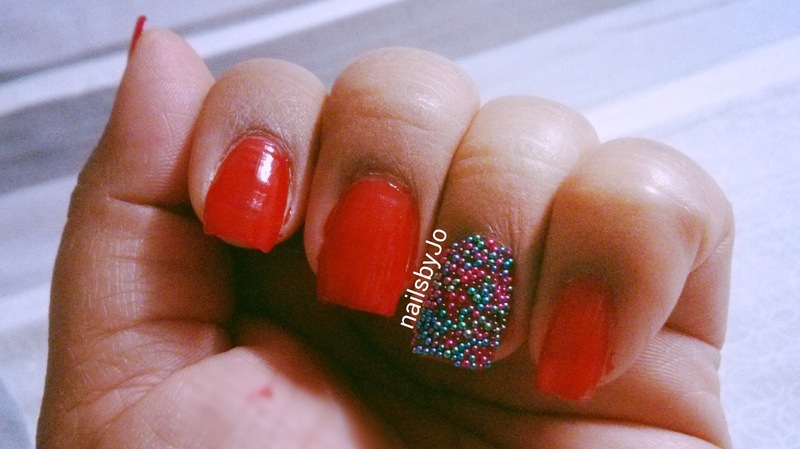 Step 2: Drop the caviar beads on to the ring finger. Cover your nail well. Press down lightly. Dry nail well before you apply the top coat. 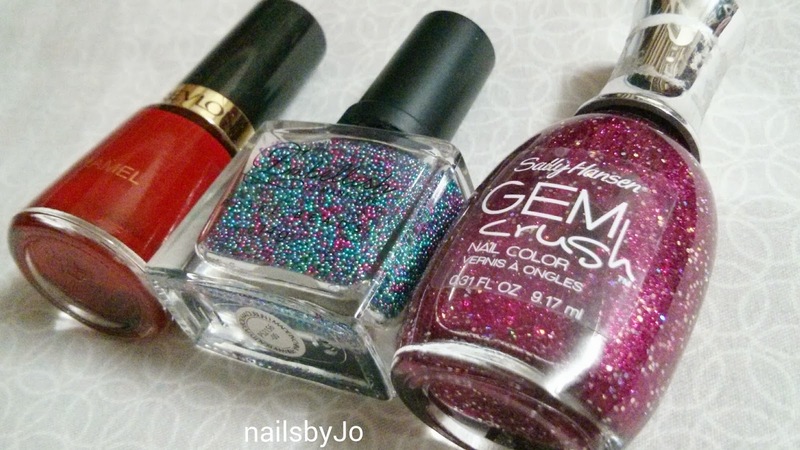 Step 3: Now use Sally Hansen’s Gem Crush - Liquid Jelly and cover the rest of your nails. I used 3 coats to get some bling. Apply top coat to add extra gloss. My Tip: Caviar beads tend to fall off in a few days. Reinforce them every day with the top coat especially the tip of your nails.